With Halloween just around the corner I have felt the external pressure from all around to buy and consume ultra-indulgent, decadent, and highly processed junk food. It’s part of the holiday season, and I am all for a little indulgence, but if I can create a treat that is just as indulgent and delicious without the refined sugar and artificial colors, you bet I’m going to make it to die for. 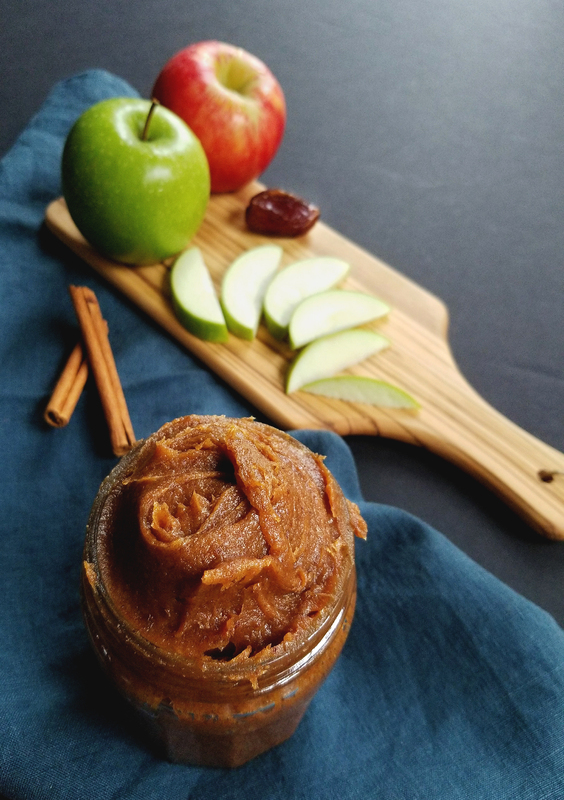 One of my all-time favorite flavors of Fall is caramel: sweet, succulent, and the perfect addition to ice cream or tangy apples. Caramel was always a treat worth its sugar high. 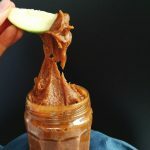 Traditional caramel is made by heating up white sugar with a small amount of water until it takes on a golden hue, when the proper temperature is reached you add some sort of fat, usually heavy cream and butter to create a thick, luscious sauce. So how do you make caramel without refined sugar? You find fruit that already tastes like cooked sugar, enter DATES. 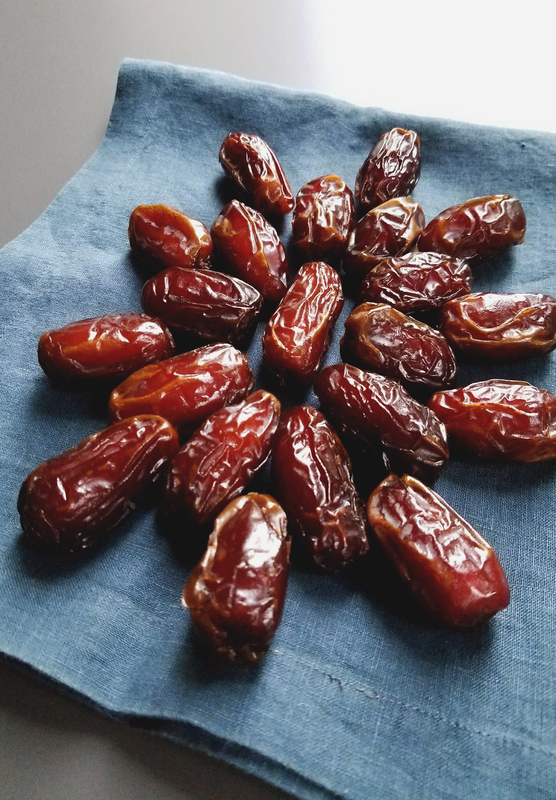 When eating dates for the first time it’s hard to believe that a fruit could taste so much like candy, but that’s why dates are so special. Their natural sweetness is a great alternative to using refined sugars that have been stripped of their fiber, vitamins and minerals. Dates are loaded with beneficial nutrients that can help restore a depleted body. To make the dip well rounded I decided to use coconut cream as a binder. It creates a balanced, creamy element to mellow out the sweetness of the dates. 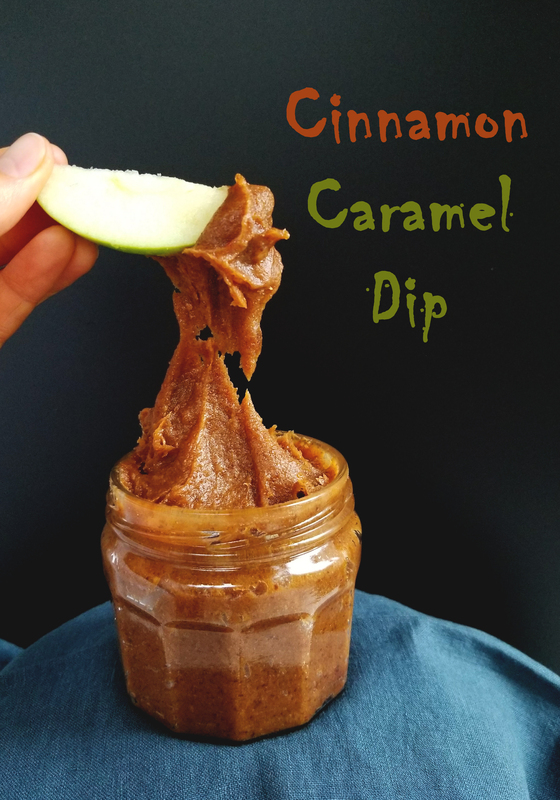 To make it even more magical I finished the dip with a pinch of cinnamon to tie in all the wonderful flavors of fall. With only 3 ingredients this ultra luscious caramel will help you get through Halloween without laying a hand on any processed junk! When eaten with tangy apples( or just your finger ) it is hard not to feel like a kid again. Try your hardest not to eat the entire bowl. 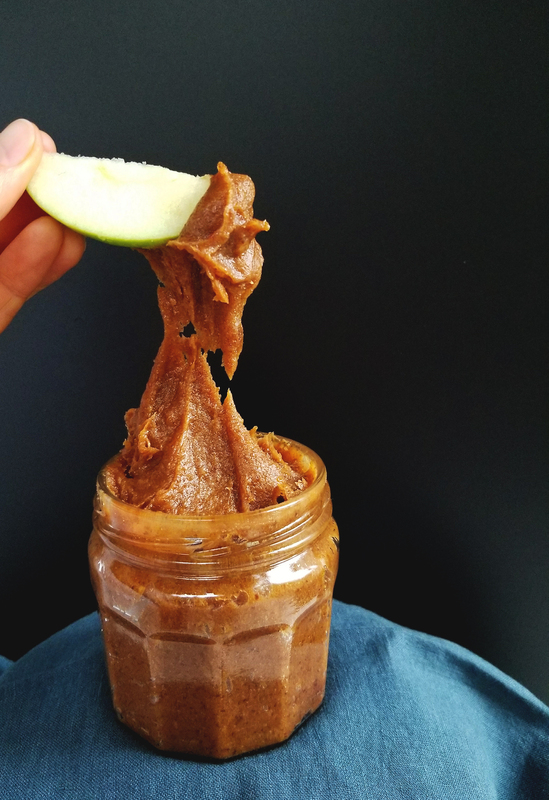 This smooth, thick, and simple 3 ingredient caramel is sure to fix any of your biggest Halloween sweet tooth cravings! Perfect with freshly sliced apples. In a small sauce pot, add a can of coconut cream and bring to a simmer, whisk until the water and the solids emulsify, keep warm. 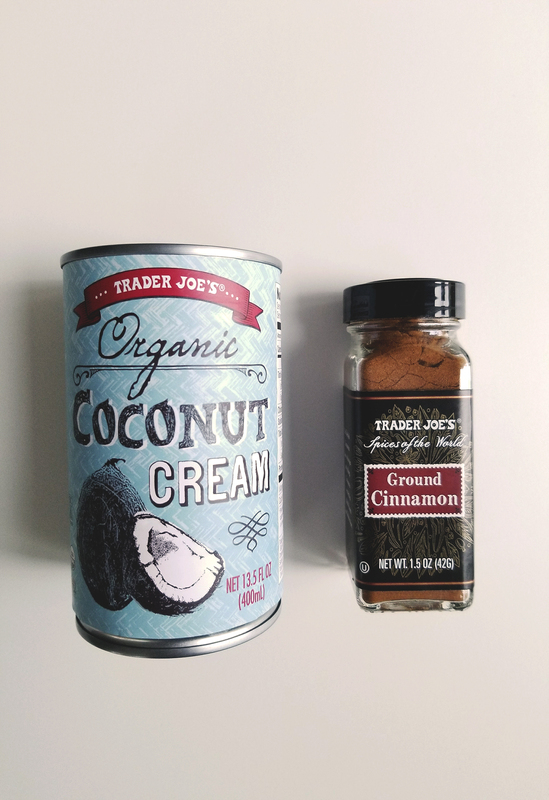 In a food processor (or high-powered blender) blend the dates with 2 Tbsp of warm coconut cream. This process will take some patience as the dates are very sticky. Every few seconds you will needs to scrape the sides down and pulse again. Continue pulsing and scraping until the dates begin to form a thick paste. Add another Tbsp of warm coconut cream if needed and continue to scrape and blend until the dip is ultra smooth. (The heat from the friction of the blades, and the coconut cream will eventually break it down, if you add more liquid you will get a runny consistency...be patient) This should take 2-5 minutes depending on how soft and moist your dates are. Finish with a pinch of cinnamon and transfer to a bowl or jar. This will keep in the fridge for a week, if it lasts that long. *I like to heat up the entire can of coconut cream so that it can emulsify evenly, when you use your 2-3 Tbsp you can put the remaining coconut cream into ice cube trays and freeze them. Use later for more caramel, smoothies, desserts, or daiquiris! 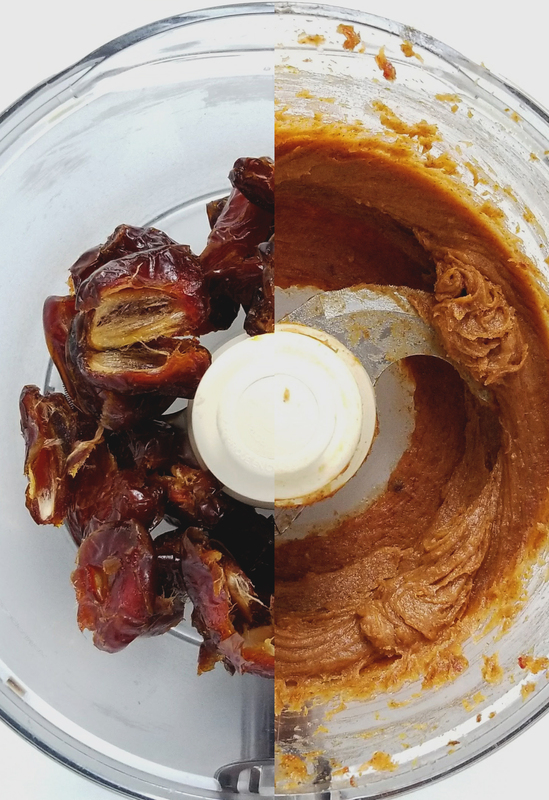 * I have found that Medjool dates work the best since they are the most accessible and carry a little more moisture than Degletts. If you are lucky enough to have access to Barhi or Honey dates use them! There flavor is truly unbelievable. *If you have access to a warehouse store you can normally get super juicy medjool dates in a two pound container for around $7-$8.